Car accidents can be a traumatic experience and can cause serious injuries or death to victims. Accidents can be particularly distressing when they occur because another driver decided to drive after drinking too much alcohol. According to the National Highway Traffic Safety Administration (NHTSA), alcohol-impaired drivers caused 10,941 accidents and killed 404 people in 2012 alone. Drunk driving accidents and the resulting injuries are often completely preventable had the driver chosen not to get behind the wheel. Therefore, victims are not only left with medical bills and other financial losses, but often emotional trauma and desire for justice. When impaired drivers cause accidents, they are usually placed under arrest if the authorities are called to the scene. A prosecutor may then charge the driver for violating Pennsylvania laws against driving under the influence (DUI). This criminal case can put the drunk driver behind bars, but usually provides accident victims with little financial relief, if any. Wrongful death (for the family of a deceased victim). These are only some of the examples of recovery in a drunk driving case. 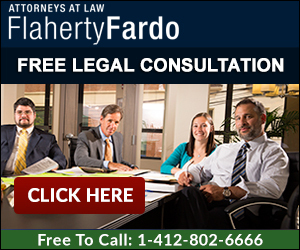 A personal injury attorney at Flaherty Fardo can help give you an estimation of what your case is worth. In order to recover in any type of car accident or truck accident case, you must show that the other driver acted in a negligent manner. Breaking the law, such as DUI, is considered to be automatically negligent by a court. Therefore, in a drunk driving accident case, you must only show that the driver who caused the accident was, in fact, impaired while driving. Evidence of drunk driving can be scientific, such as the results of a Breathalyzer or blood test performed by authorities shortly after the accident, and can involve experts to attest to the accuracy of the tests. In other cases, the evidence may be the testimony of what an officer or other person witnessed at the scene of the accident. An experienced attorney knows how to gather and present evidence of drunk driving in court so that you can sufficiently prove that the driver was negligent, allowing you to recover. At the law firm of Flaherty Fardo, our attorneys are dedicated to helping drunk driving accident victims receive the financial compensation and sense of justice they deserve. Our skilled personal injury lawyers have extensive experience handling car accident cases that involve alcohol and will work to hold drunk drivers responsible for your resulting injuries. If you have suffered injury in an accident, do not hesitate to call our office today at (412) 802-666 to schedule your free consultation. Date of Accident Please tell us the date Injury Details Please explain how the accident / injury occurred?